Kate Hardy: 50 Shades of Partaaaay! Given the hype of the moment, and this is celebrating my 50th book, I’d be a little remiss not to get a 50S pun in there, wouldn’t I? 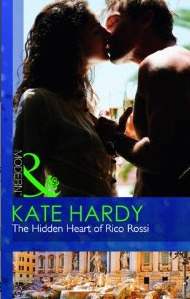 Today is the official release day of my 50th Mills & Boon novel, ‘The Hidden Heart of Rico Rossi’. It’s set partly in Rome (and you can see more about the setting tomorrow on the Pink Heart Society blog), it involves cake (and boy, did I have fun doing the method writing bit for that – the kids enjoyed scoffing the results, too), and it involves second chances. I loved writing this book. I loved researching it. And, as lovely readers bought it early from my publisher’s website and kept it in the M&B top ten last month, I hope people have loved reading it, too. I’m very privileged to have great friends in the writing world. I had a big blog party for my 25th, but this one is going to put that in the shade. (50th book. Shade. Hmm.) I’m humbled by the response I’ve had to my suggestion about having a blog party, and I’m thrilled that I have the most fantastic guests who are offering giveaways. I have been a bit slack on the blogging front this year, but there will be something EVERY SINGLE DAY for the next few weeks, so do please come back and join in. But I guess the first day ought to be one of my own giveaways – so please leave a comment below to be entered into the draw for a signed copy of ‘The Hidden Heart of Rico Rossi’ :o) And thank you for coming to celebrate with me! Woo-hoo! Congrats on 50 published M&B's - amazing achievement! Any ideas when it will be released in Aus/NZ? Katie, 1st of September is the date. Can't wait. The first KH book I read was Strictly Legal. Leo...yum. 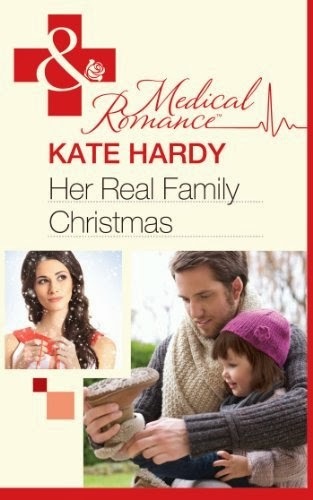 Ever since then I have bought every Kate Hardy book and read it...more than once. But Kate, Sara(Leo's sister)always had me wondering how things ended up for her. Family thought her a bit of a ditz but if she was doing study, she was definitely on the road to change her life and be an example to her daughter. Keep writing them , Kate and I'll keep reading them. Congratulations on your 50th book! In Bed With Her Italian Boss was the first Presents I ever read and it remains a favorite. A Mills & Boon with cake in it and a yummy hero?! *Waves hand frantically* Pick me, pick me!! 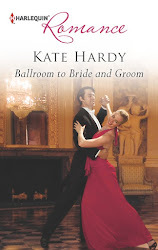 Seriously Kate, I have been lurking for years but I want to say congratulation on your 50th book. Your advice to wannabe writers like myself is invaluable. Yayayayayay Kate!!! And how excited am I to be the first guest tomorrow! See ya then! Scarlet - thanks, and absolutely! Summer - thank you, and so glad you enjoyed it! Ally - whoohoo, my first special guest has arrived!! Winner: Elissa. Please contact me kate(dot)hardy(at)btinternet(dot)com with your snailmail addy and I'll get the book in the post to you!